It is finally here! Canyon City has officially released his debut album. After listening to the first single “Between The Stars” a couple of weeks ago, I had written that, if it was anything like the rest of the album, it would quickly become a favorite. And it will. It is one of those albums I will repeatedly recommend in the next few months because there is something special about his music. 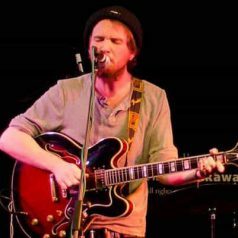 Canyon City is guitarist and singer/songwriter Paul Johnson’s indie-folk project. He recorded all his previous Canyon City releases in his living room. It does not get more independent than that! In his 3rd EP “Smoke & Ash” (a gem), I could sense a shift in his songwriting. Indeed, the tone and the mood just felt deeper. And, just after its release, I had the chance (privilege) to talk to him (interview here). Funnily enough, he actually had just started working on his debut album. He knew the direction he wanted to go with this record. It was very important for him to dive deeper in the story telling elements, building on the trajectory he had taken with his 3rd EP. And I can say now that “Smoke & Ash” EP was just a beautiful prelude to this album. 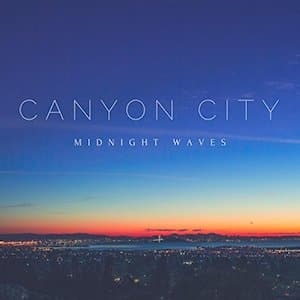 “Midnight Waves” is classic Canyon City with just a little something more. It is classic Canyon City because it has all the elements that made people fall in love with his music. The songs are acoustically-driven with some gorgeous fingerpicking (e.g. in his song “Firework”). The combination of the arrangements, the light production and his voice make any listen feel like a dream-like experience. And there is this little something more. The mood of the record is melancholic, romantic and pensive. You can feel that he is just in sync with his emotions. And that makes his songs feel personal and even more relatable. For instance, his song “Ring” really moved me. In my opinion, it has some of the best lyrics of the album. 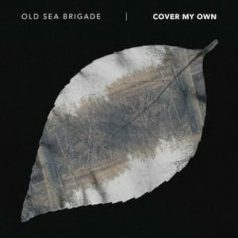 This album is full of those little moments (a note, a lyric) that will touch you and bring you back to a time in your own life. This is why I feel “Midnight Waves” is special. One of the most magical things about music is when you connect with someone’s songs and their songs become part of your life and journey. This is one the many reasons why this record is a success. 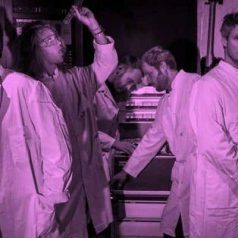 Nonetheless, it is almost impossible to choose a favorite track from “Midnight Waves”. It keeps changing each time I listen to it. I am pretty sure you will have the same “problem” (if we can call this a problem). There are, of course, tracks that stand out (like “Ring” or “Time”). However, I find the ensemble so cohesive that I recommend to play the whole record on repeat to fully appreciate it. It reminded me of albums like “Leavetaking” by Peter Bradley Adams or “Where The Mountain Meets The Valley” by Joshua Hyslop. Those 3 albums are records I could listen to all day long without ever growing tired of them. In conclusion, There is not much more I can actually write about this brilliant and solid first album. “Midnight Waves” hits home. The tone is just right. I know that, in a couple of years, after listening to it countless times, I will still manage to find something else to love about it. Honest, poetic, romantic, beautiful…take a moment, a deep breath and dive in. 5/5 in my book! Midnight Waves is available on itunes.